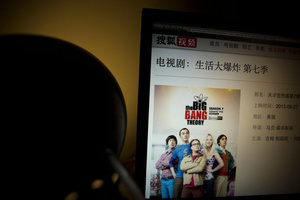 The Chinese government has demanded large streaming sites in the nation stop streaming popular American TV shows including "The Big Bang Theory." Among the other shows are "The Good Wife," "NCIS" and "The Practice." A spokesperson for major video site Youku confirmed the demands, although the Chinese State Administration of Press, Publication, Radio, Film and Television did not give a reason for the order. Sites like Youku, Sohu, Tencent and others started with roots in piracy and YouTube-esque clips, but have expanded to include domestic and international licensed movies and TV. Many are free to watch with ads, but it appears the government may not necessarily approve of the content. I no buying this article not even for a second. It is confirmed by a lot of major news sources. The government of China has gone totally f**king crazy. Nothing that might even potentially lead to free thought will be allowed. chinese government can be very controlling of its people.its not an official dictatorship but they still act like it is at times.